While at Disney Social Media Moms Celebration, I had the opportunity to select a breakout session. When I saw that author Ridley Pearson was going to be there, it was an easy choice. Just over a year ago, while at Walt Disney World, I walked off Pirates of the Caribbean and noticed some books. I took a photo so I could check them out at a later date. 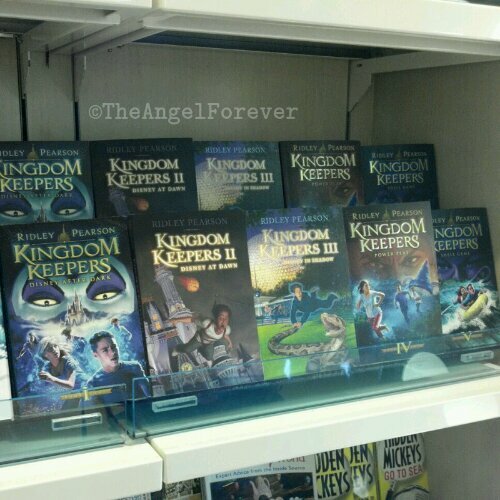 The books were called Kingdom Keepers and they intrigued me. One year later, I have read all of the books, save for one which was just published, and I am an even bigger fan. Now that I have read all but the latest book in the series, I look at things differently when in the parks. I imagine the characters, the places, and events. More coming soon from this day soon.